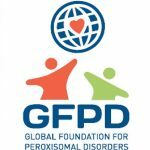 Our friends at the GFPD are the global charity for Zellweger Spectrum Peroxisomal Disorder. Their support groups are larger and full of supportive people with a wealth of knowledge. They are our second home.